Muscles allow us to move, but sometimes the wear and tear that comes from moving our bodies can lead to disorders of the muscular system. 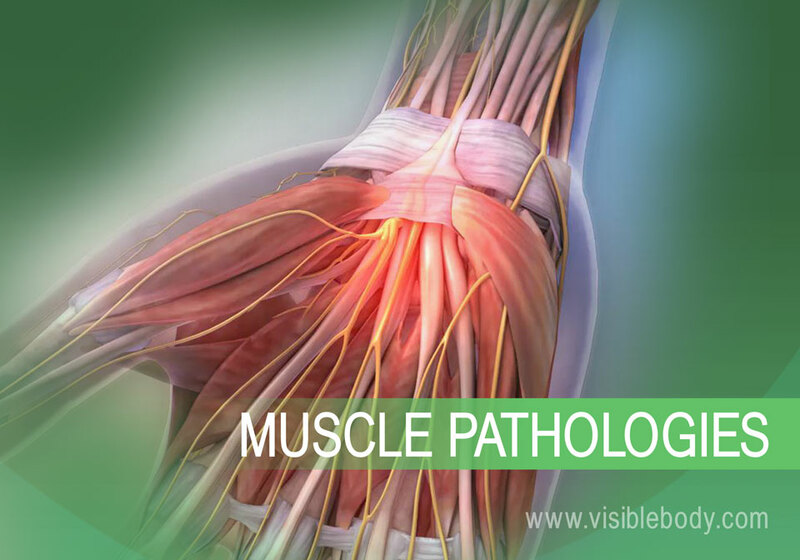 Below are some of the most common muscular pathologies. The carpal tunnel is the passageway in the wrist where the median nerve and flexor tendons pass through a narrow opening. Carpal tunnel syndrome, which is also called median nerve compression, occurs when the tendons become inflamed, causing compression of the median nerve. Symptoms include pain, numbness, and eventual weakness in the hand. Carpal tunnel syndrome can occur for a variety of reasons including hereditary predisposition, repetitive movements, diabetes, or thyroid disorders. Bursae are small fluid-filled sacs that cushion the bones, tendons, and muscles near the joints. 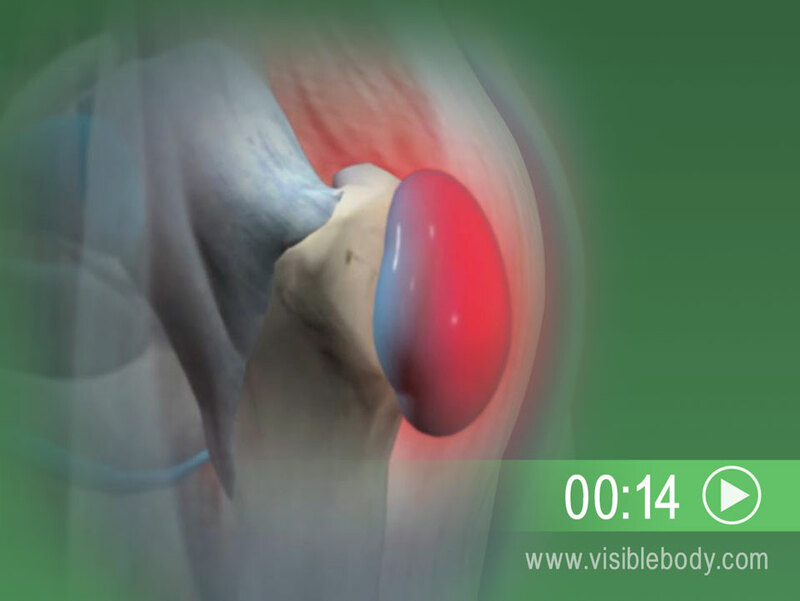 Bursitis occurs when bursae become red and inflamed, causing pain. This condition often occurs near joints that perform frequent repetitive motion, such as the shoulder, elbow, hip, and knee. The patella is a flat, triangular bone that protects the front of the knee. 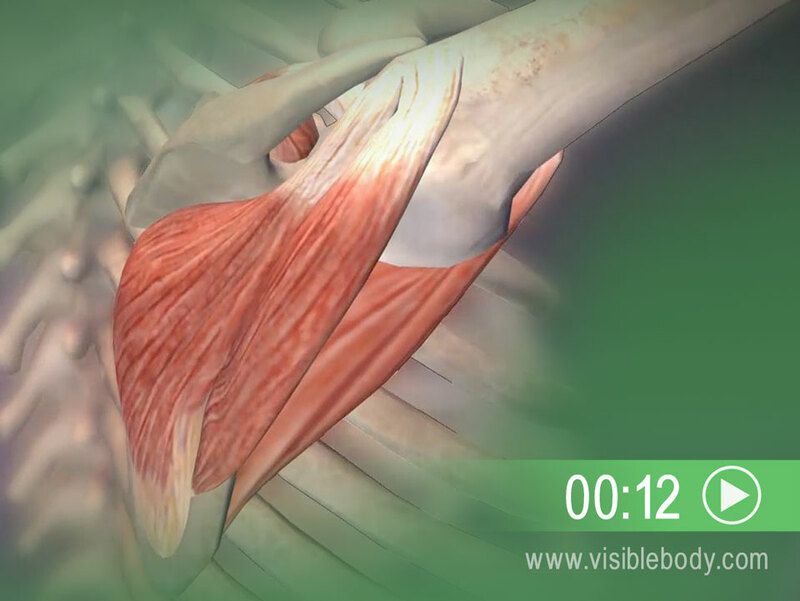 The rotator cuff is a group of muscles and tendons that surround the shoulder joint. These muscles keep the top of the upper arm in the shoulder socket by forming a “cuff” that not only holds the arm in place but helps it move in various directions. Gradual degeneration due to repetitive overhead motion or a sudden traumatic event can tear one of the muscles or tendons of the rotator cuff. Symptoms of this injury include pain, decreased range of motion in the shoulder, and muscle weakness. Lateral epicondylitis affects the muscles of the forearm that join on the lateral side, or outside of the elbow. This condition is also called “tennis elbow” because the repetitive strain of these muscles is commonly seen in patients who play a lot of tennis or other racquet sports. Overuse of these muscles can cause damage. As a result, microtears may develop in the tendons, causing inflammation and pain. This pain and tenderness is felt on the outside of the elbow. A Science Daily article on guidelines for diagnosing carpal tunnel syndrome. An article on musculoskeletal rehabilitation in The University of Chicago School of Medicine Health Library. 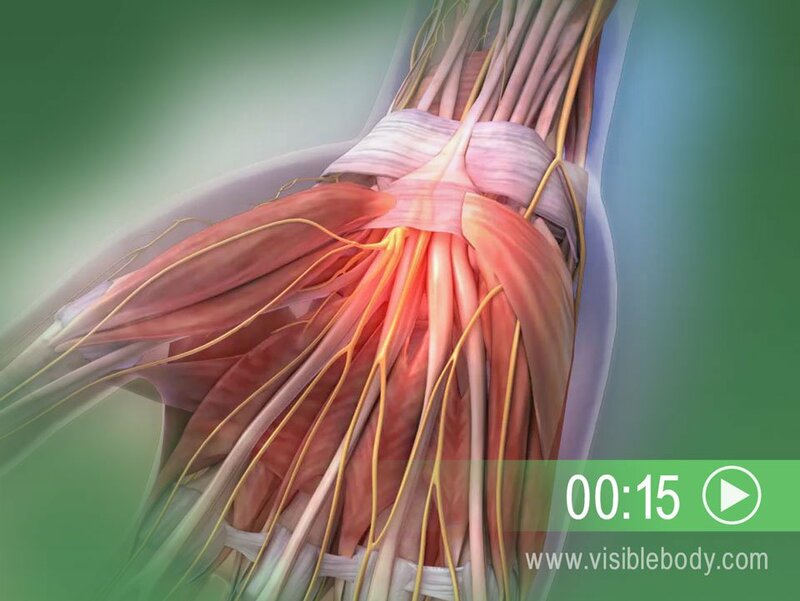 Anatomy & Physiology by Visible Body provides in-depth coverage of each body system in a guided, visually stunning presentation. Get our awesome anatomy emails! ©2019 Visible Body. All Rights Reserved.